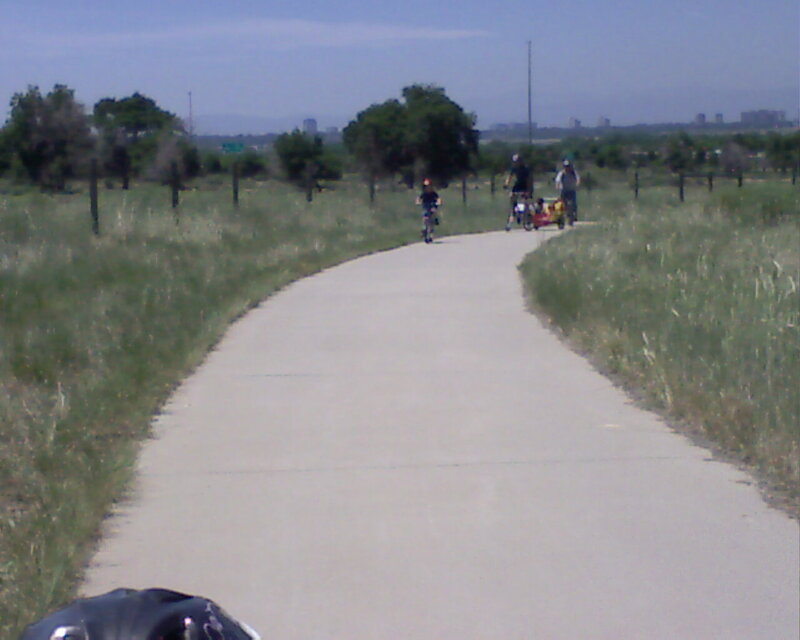 Still, we made it out to Cherry Creek Res., did a spin there, and came back. We… did a total of 12.2 miles at a surprising 9.8 mph. 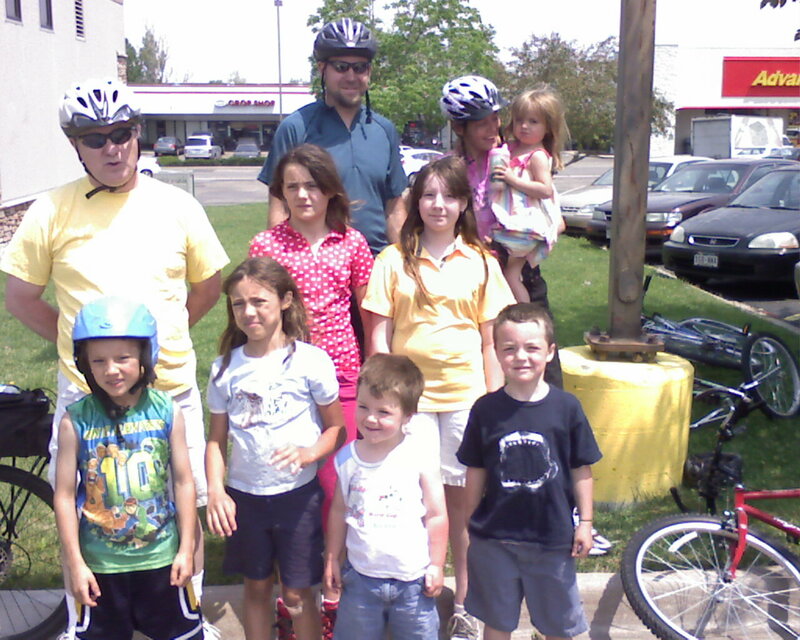 All the kids have geared bikes now, so they did really well and, in spite of some problems, we had a good time. I posted this on the Mile-Hi Cycle Guy Facebook page, but I wanted to share it here as well. It is a very insightful look at the conflict between mototrists and cyclists. Here is, without doubt, one of the best articles I have ever read about the conflict between motorists and cyclists. Not only does the author, Tom Vanderbilt, illustrate this conflict, which has been done countless times before, he delves deeply into why it exists – and offers solutions. On Sunday, the 12th, we headed up to Lovleand for the annual McLaughlin BBQ; that is, my daughter Brandy and her husband Dave Mc Laughlin. Andi, Darryl, and I, met some of their friends and had a great time. 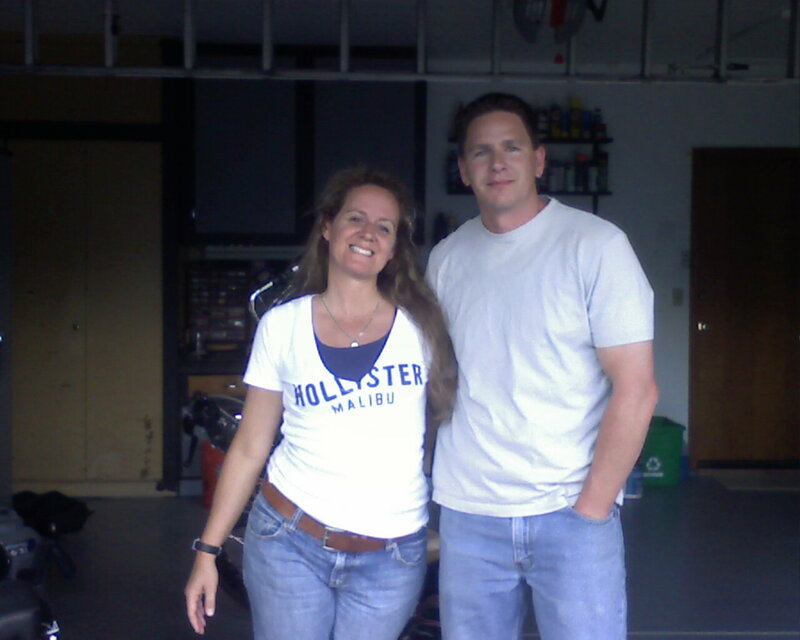 Here are some pictures of them in front of the bikes they like to ride. 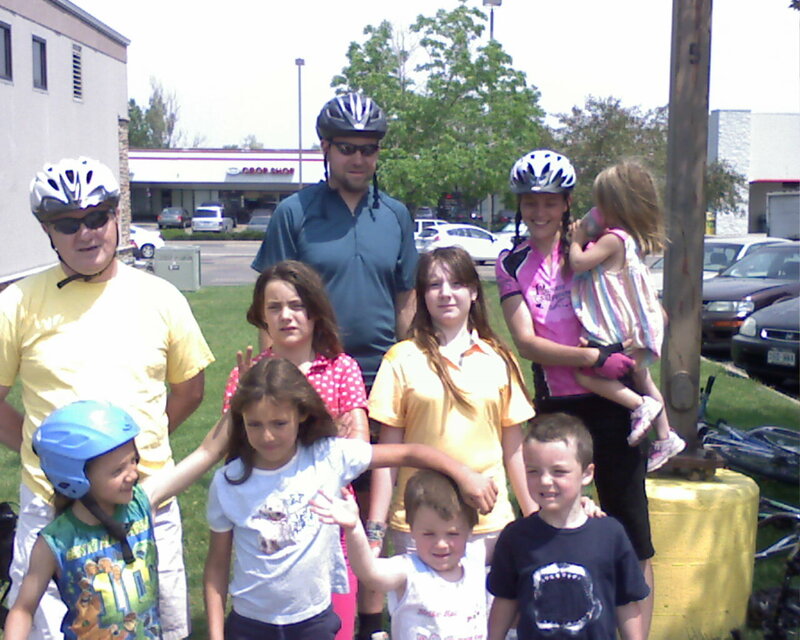 For the last two Saturdays, I have led a group ride for new and returning cyclists in Aurora. We call it the Easy Riders Group. We keep the speed and distance to a manageable level, 8-10 miles at 8-10 mph, so no one feels intimidated. Anyone can join us – on any type of bike: hybrid, cruiser, mountain, road. I ride my Yukon, the MTB I hybridized and which I rode from Phoenix to Denver last year. It seems like it’s the only time the poor thing gets ridden these days. Anyway, just wanted to share a couple of shots of today’s group. Yes, we like having children ride with us. We can teach them some the basics for group riding. Plus, seeing the joy they experience while pedalling under their own power is great fun. Last week we had four adults and three kids. This week, it was four adults and seven kids – all from the same family. 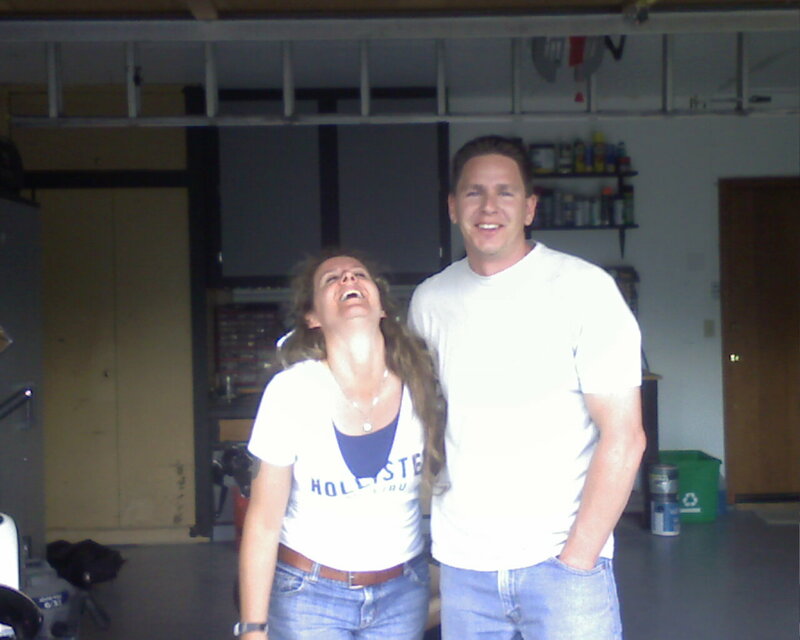 Who knew anyone would try to raise seven children these days? The Easy Riders Group is one of three groups which have developed among the cyclists in the cycling club we began in late February, The Aurora Bicycling Club (ABC). As of today, we now have 70 members, with three groups of riders based on experience and goals: Epic Riders (more advanced), Fair to Middlin’ (medium difficulty), and the Easy Riders. We’re all just having fun and meeting new people who share a passion for cycling. Hey, that’s what cycling is all about. What a beautiful day for a ride. It was 72 degrees and a bit breezy but, after 18 1/2 miles in about 1 1/4 hrs, I feel really good. Too bad the wind kicked up into the 25 mph range. I may have gone farther. Had a very busy week with a bunch of service jobs, so it was good to finally get out and ride. Hope you all get to ride this weekend. It explains one of the best reasons to commute by bike; weight loss, smart, rapid weight loss. I wrote it. What do you think? Had a good wake-up ride this AM, on my commute from the garage to the garage (where we keep our little bike shop). Did 6 1/2 miles in 30 minutes, about 1/2 uphill and 1/2 downhill. Whatever happened to level ground?